Truckee Downtown Merchants Association (TDMA) benefits of membership extend far beyond the borders of Historic Downtown Truckee. Membership with the TDMA helps build a better Truckee for everyone- Locals and Tourist alike. Our organization, along with the Truckee Town Council, recognize downtown as the “heart and soul” of Truckee. Together, we work hard to promote and preserve the Downtown. We believe that a thriving downtown is vital to an overall healthy economy in Truckee. The TDMA operates under the principles of the Main Street Program. The Main Street Program utilizes a public-private partnership of private investment, local government support, and local non-profit assistance to revitalize historic commercial districts. The locally-driven, main street approach focuses on beautification of our historic district, marketing and advertising and economic development. "Mo Jo & Zoe joined the TDMA in 2008 so that we could be a part of what was happening in Downtown. After meeting Stephanie Olivieri at our first TDMA meeting, she became our landlord for our first downtown location. We opened the shop in 2010 and it has been an amazing adventure, and we look forward to many, many more!" Your membership includes advertising and marketing through all of our channels. Access to TDMA Social Media (Facebook, marketing campaigns, Instagram and Websites). Your contribution to the TDMA helps keep our downtown neighborhood district, clean, well-lit and beautiful! Talk to us and take action. We value your membership and your opinion! Attend monthly board meetings to share information relevant to running your business. Access to staff resources and information. Our staff, Board of Directors and volunteers work to solve the problems that impact your business. Credibility and Advocacy - TDMA has been advocating for downtown businesses for over forty years and has a strong relationship with the Town of Truckee and Truckee Chamber of Commerce; we work closely with both organizations to benefit the economic vitality of Truckee. Strength in numbers to protect downtown. Advocacy is a vital role of the organization. By working together and pooling resources, downtown businesses have a stronger voice and ability to influence issues relevant to the success of business in Historic Downtown Truckee. Examples include our participation in collaborating with Town of Truckee on an Event Policy for Downtown; the Downtown Parking Working Group; the Economic Development Committee “Truckee Tomorrow”; the Truckee Chamber Tourism Committee; and any proposed development or capital improvement projects located within the downtown historic district. Email alerts on topics that arise with possible effects on Historic Downtown Truckee. Monthly Newsletter to keep you and your employees informed. Tax Deductible Yearly Membership (501c-6 non-profit). 10 % discount on Advertising with Tahoe Weekly. FiftyFifty - West River St. 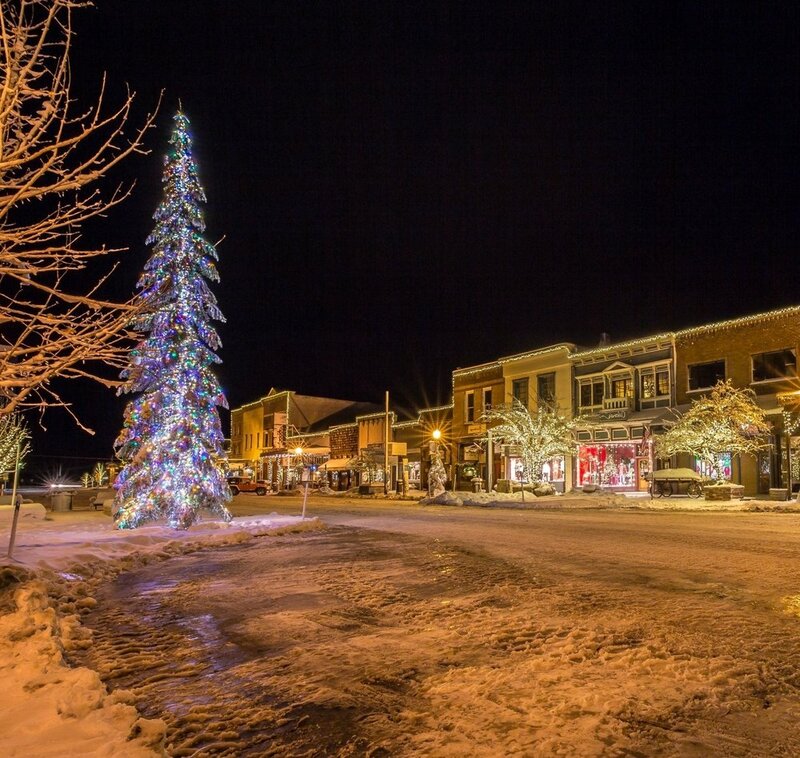 Your participation as a Member of TDMA allows us to continue these programs that have proved to be successful in bringing your customers to Historic Downtown Truckee. Membership also allows us to research new programs and activities that can be added in the downtown for more visibility throughout Truckee-Tahoe, Reno, the Foothills, Sacramento and beyond. We know that a successful downtown is a result of the relationships and partnerships between all individuals in the community. We look forward to your involvement as we continue to uphold Historic Downtown Truckee’s reputation as the “Heart and Soul” of Truckee.